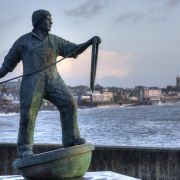 These are all examples of genuine Cornish food and in this article we'll look at the most iconic of all, some of which have their right to be called Cornish protected by European law. This list is in no particular order, although if I had to choose it'd be a toss up between a cream tea and a pasty! The cream tea has somehow become synonymous with Cornwall although many across the border will argue it originated in Devon. 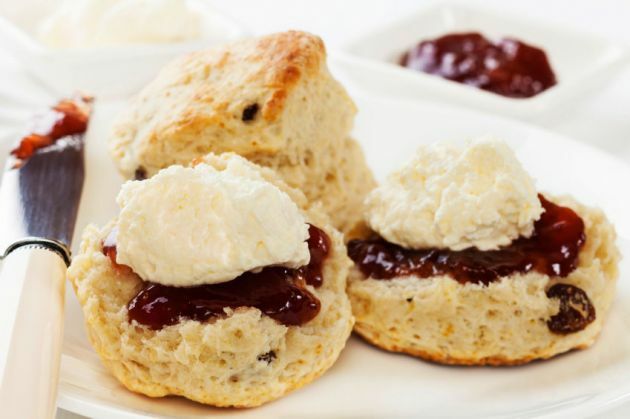 The premise is pretty simple; you slice a good fresh scone in half, spread on a good helping of strawberry jam and then add a generous dollop of clotted cream. All this is helped on its way with a lovely pot of tea. There is little to distinguish the Devon and Cornish cream tea but to those in the know the difference is a sacrilege. In Devon it is the cream which is applied first and then the cream. 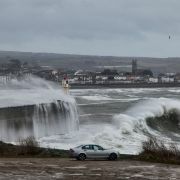 In Cornwall it is the reverse. Get this wrong and you will be committing a heinous faux pas! There are around 60 varieties of cheese produced in Cornwall but it is Cornish Yarg that is best known. 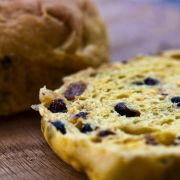 The recipe is said to date back to the 13th century but it was revived in the 1960s by Allan and Jenny Gray. My favourite part of the story is the name; the couple used their own name spelt backwards, so “Gray” became “Yarg”! 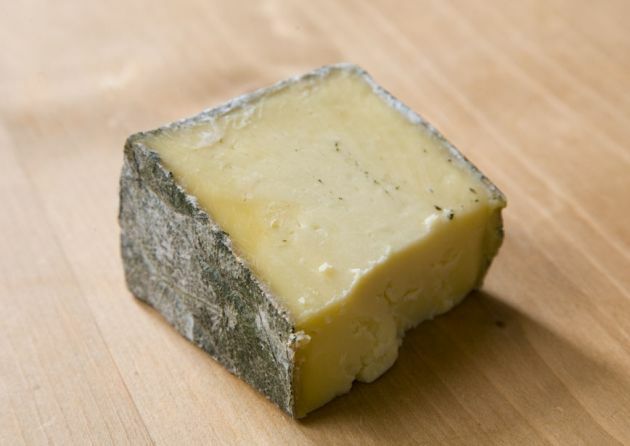 Yarg itself is a semi-hard cow's milk cheese often likened to Caerphilly. One distinctive feature is the nettle leaves the cheese is wrapped in which forms an edible rind. Apparently the stings are removed by freezing the leaves first. Today, despite being exported throughout the world, Yarg is exclusively produced by Lynher Dairies near Truro. Over recent years the Cornish pasty has enjoyed a meteoric rise in popularity. No longer the preserve of the miner's lunchbox, the pasty can now be found in the snack cabinet of practically every garage in the UK! I'm not sure how much of this success can be attributed to Ginster's but the timeframe seems to fit. Whatever the case, the humble oggy (pasty) now accounts for more than 5% of the Cornish economy. 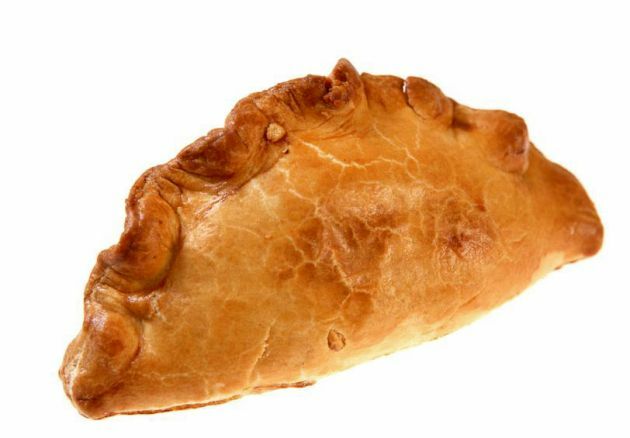 Described as pastry containing diced beef, onion, potato and turnip with a crimped crust on one side, the Cornish Pasty has Protected Geographical Indication. This means that only a pasty made in Cornwall can be legally called a Cornish pasty. The pasty comes in many varieties and to even brooch the subject of who makes the best would be a world of trouble! Suffice to say, you can't beat a good oggy. 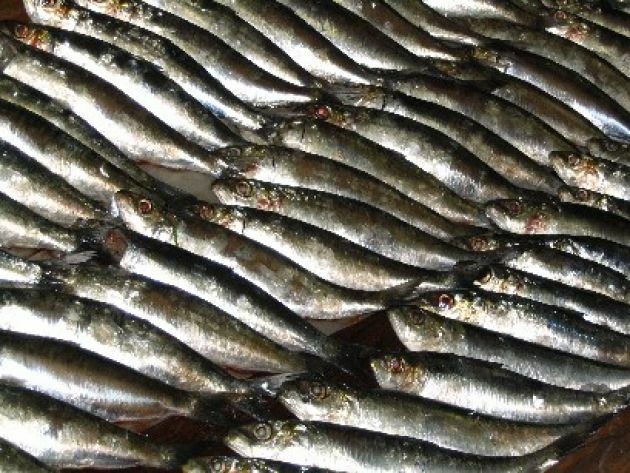 Pilchards where once the backbone of Cornish industry and even if you aren't a fan of these oily little fish you're sure to appreciate their legacy. During the 18th and 19th centuries in Cornwall, if you didn't work down a mine then the chances were you would be something to do with pilchards. 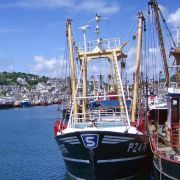 As a result many of the picturesque fishing villages that grace our coasts sprung up including favourites such as Mousehole, Mevagissey, Polperro and St Ives. These days attempts are underway to rebrand the humble pilchard as a bit of a foodie speciality. The Cornish sardine, as it has been re-christened, can now be found in upmarket supermarkets throughout the country and grilled at every food festival in Cornwall. Whilst this marketing spin may seem a little cynical there's no denying that a grilled pilchard, er Cornish sardine, in a roll is pretty darn tasty. 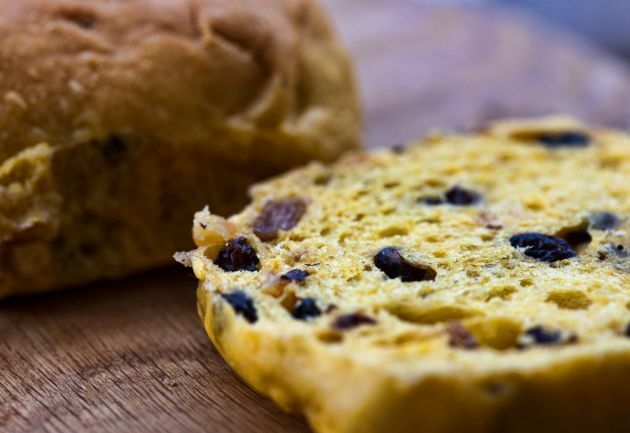 The Cornish tea treat or revel bun is better known as the saffron bun. It is quite similar to tea cakes found throughout Britain and consists of a rich bun containing currants. The difference is though the saffron bun contains, yes, saffron. It seems quite a bizarre ingredient considering it is the most expensive spice in the world by weight and originates in far away places. The only explanation offered as to how this came to be is that saffron may have been acquired from the ancient Phoenicians who came over to trade tin. Either way you'll probably find that much of the yellow found in the average saffron bun is from added colouring, as saffron is simply too expensive. Whist Cornwall cannot lay claim to having invented mead it does have a special association with the Duchy. Made from fermented honey and water Cornish mead is a sweet, yet fairly potent drink. However, it is perhaps not so much the drink itself but the environment in which it should be drunk that marks mead as a uniquely Cornish experience. The Cornish meadery is a bit of an institution; there restaurants appear to have little in the way of historical relevance but are not found anywhere else. A meadery is probably best described as a medieval themed eatery where food is served on wooden plates and you eat with your fingers. Whatever you do eat though, make sure to wash it down with a healthy serving of mead, or the equally lethal blackberry wine! Despite being also referred to as Cornish heavy cake this traditional Cornish treat is more correctly known as hevva cake. 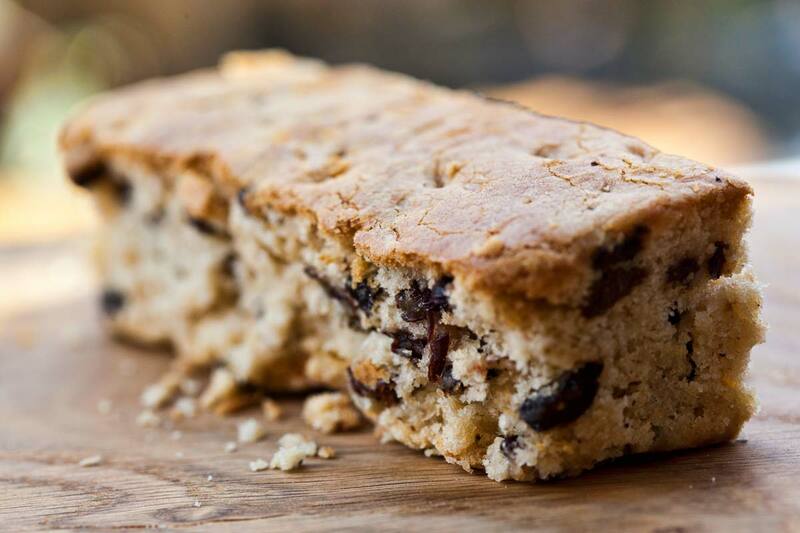 Made from a generous mixing of lard, flour, butter, milk, sugar and raisins this cake dates back to the days of the pilchard industry. Back in those days a man known as a huer was employed to act as a cliff top lookout for shoals of pilchard. When he spotted them he would raise the cry of “Hevva, hevva!” ("Here they are!"). He would then direct the fleet by waving his arms around. 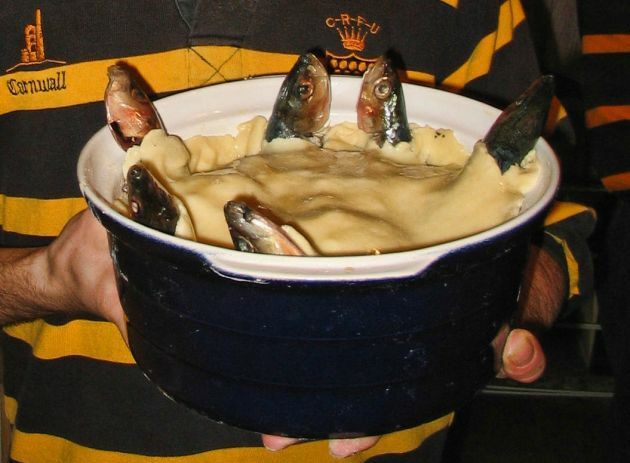 Once the pilchards were landed it would be a time of celebration and hevva cakes would be baked. Traditionally there would be a criss-cross pattern on the top of the cake to represent the nets of the fishermen. The Cornish fairing is the traditional biscuit of Cornwall. Somewhat akin to a ginger nut, the fairing is a little less crunchy and gingery and somewhat more buttery. The original fairings were found throughout Britain and got their name from the fact they were sold as a treat at fairs. The Cornish fairing rose to fame in Victorian times due to the efforts of baker John Cooper Furniss. His biscuits were so popular in Truro that he began to sell them by mail order. 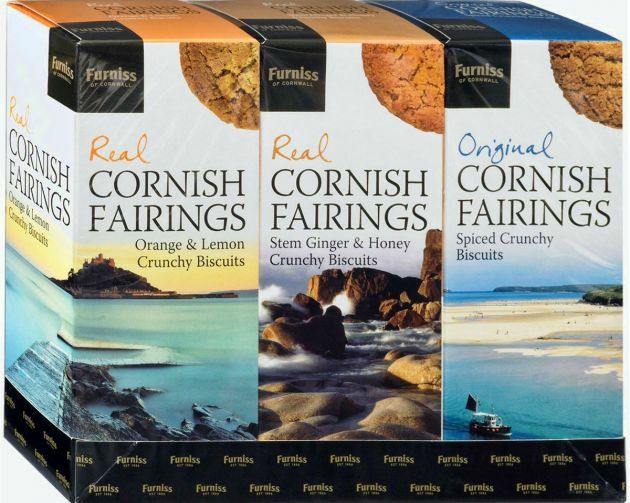 The success of the Furniss biscuit company lasted many years and the iconic “original Cornish fairing” is a trademark of the Furniss brand. 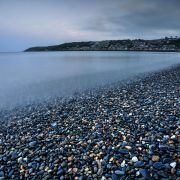 Whilst crabs can be found in many places those landed in Newlyn, near Penzance, set the standard by which all others are measured. 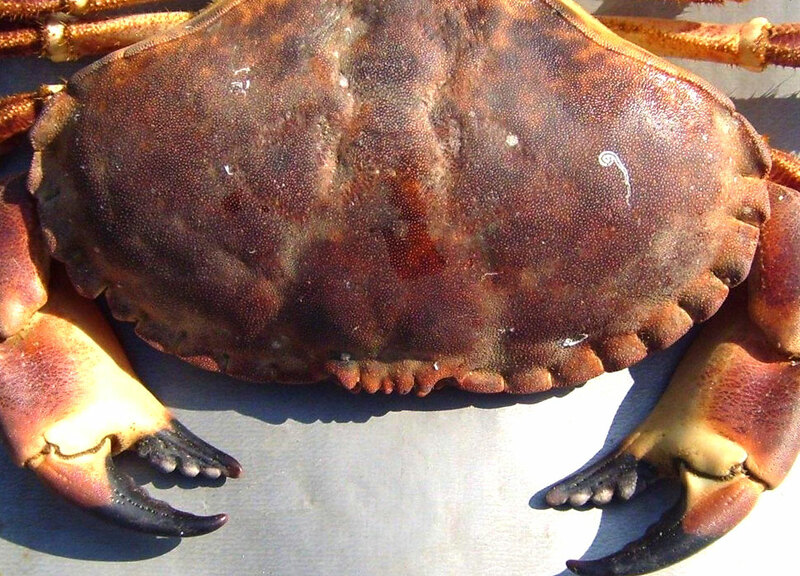 For this reason I cannot recommend enough, a crab sandwich or crab soup made from genuine Newlyn crab. 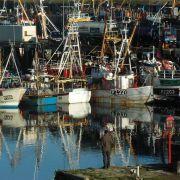 And if you want the ultimate crab based experience, try the crab soup in the Red Lion overlooking Newlyn harbour. There are two types of crab meat; brown and white. It is the sweeter white meat which is most highly prized and this comes from the crab's claws. Although the white meat is perfect for sandwiches the richer brown meat is preferred for stocks and soups.